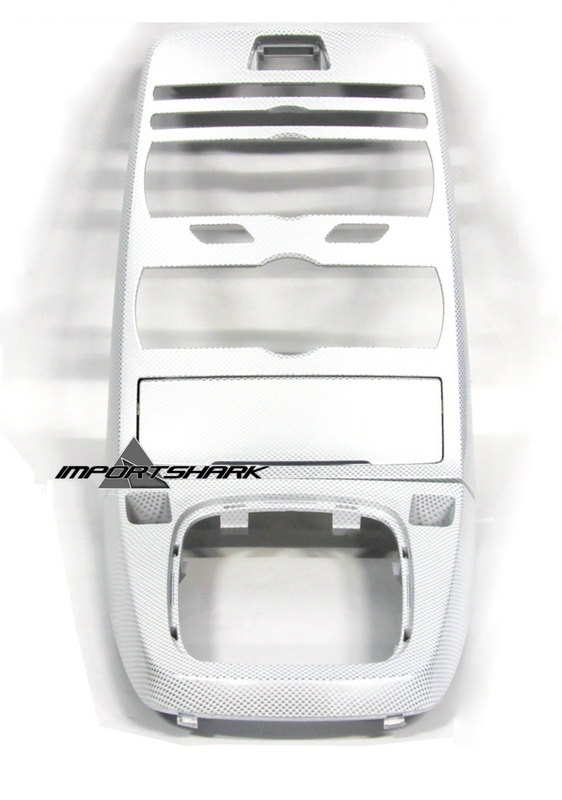 Carbon fiber style console/interior trim is a special-order service that Importshark offers. 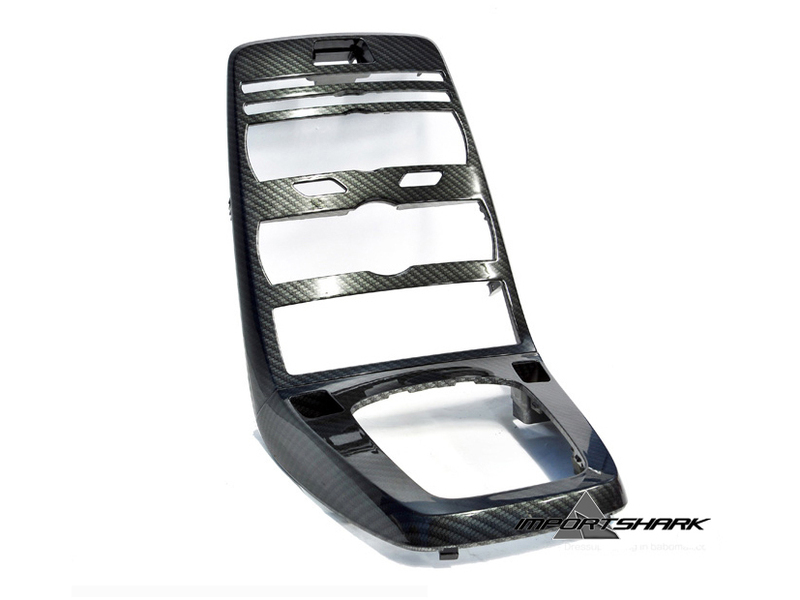 The process is simple--you remove any plastic interior trim parts from your car that you would like coated in the carbon fiber-style finish, send the pieces to us, we have the modification performed and ship back to you. 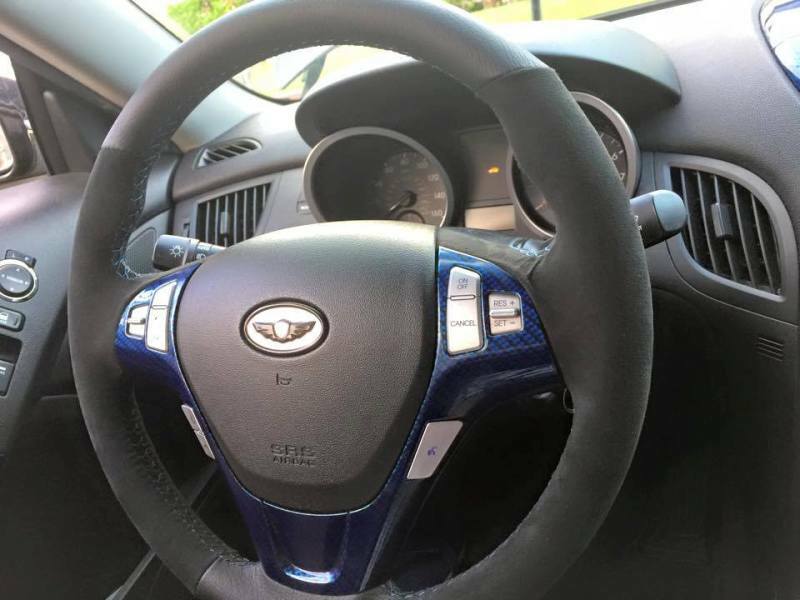 The process takes approximately 2 weeks, though tighter timelines can sometimes be accommodated. 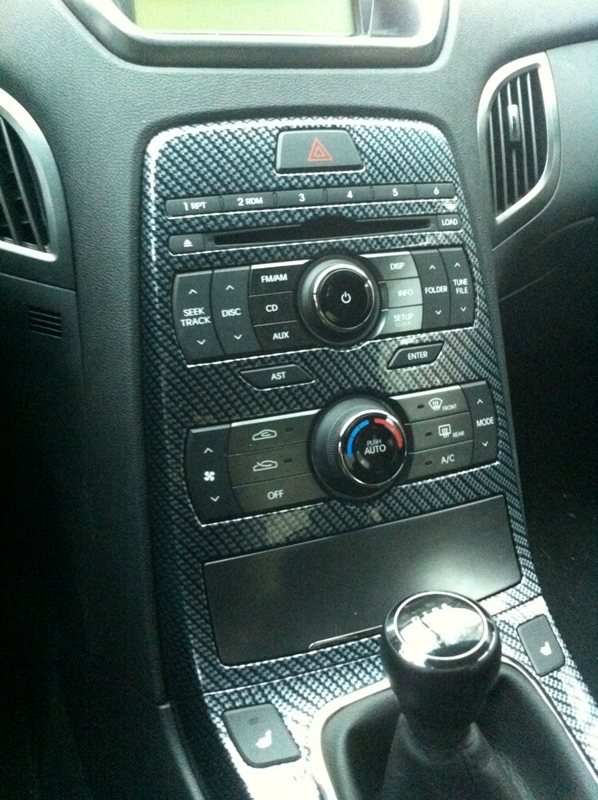 Several carbon fiber color prints are available, including black, red, blue, white, silver, yellow, etc. 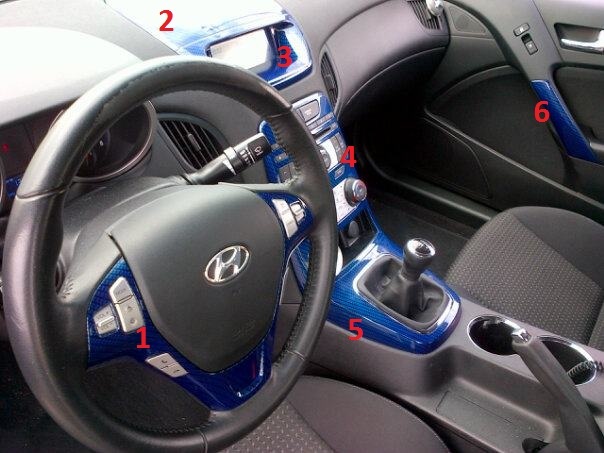 The first picture shown to the right has the most popular trim pieces numbered, which can be used for easy reference. 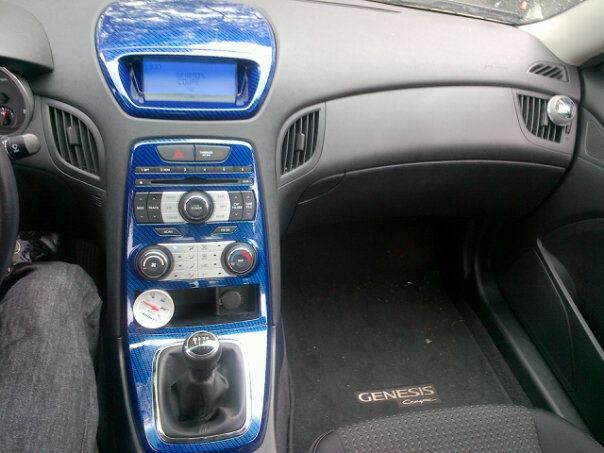 We can also do other items, such as the circular rings around the speedometer/tachometer, door handle inserts, aftermarket LCD relocator shroud, door sills, and even engine bay plastics.